Government policies are making flooding more likely – and that’s without Climate Change! I like to think of myself as a relatively even tempered sought of a bloke but I have to admit that listening to the garbage being spouted by the press, politicians and a fair few of general public over why rivers valleys are flooding this winter does wear my patience a little thin. Supposedly intelligent people come up with the most ludicrous theories when it comes to this subject and I am getting heartedly sick of politicians spouting facts about flood defence and dredging that simply aren’t true. This is one subject where us anglers usually know more than most about how river catchments work and why things happen the way they do. I’ll never forget taking part in a debate in the House of Commons in the aftermath of the 2003 floods where the then MP for Marlow, not usually a stupid man, was trotting out some conspiracy theory about how the Jubilee River, a Thames flood relief channel which bypasses the vulnerable and low lying areas around Windsor and Maidenhead and discharges back into the main river below Slough, was causing the Thames to back up and flood his constituency. I couldn’t resist reminding the Honourable Member that water tends not to flow up hill and certainly not for some 10 miles and over several weirs! Mind you this is nothing compared to what was posted on You Tube this month in the aftermath of the flooding in the Loddon Valley in Berkshire. 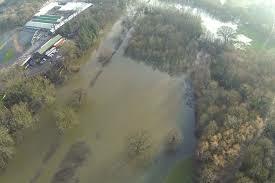 The caption accompanying some impressive aerial photography of the middle Thames floodplain looking decidedly soggy claimed that the floodwaters were due to the operation of the Thames Barrier some 50 miles downstream below the Port of London. As my local EA fisheries officer pointed out, for the Thames Barrier to cause any significant backing up, even as far as West London never mind Berkshire, the top of St Paul’s Cathedral would have been under several feet of flood water. Recently I have had to patiently explain to a number of otherwise sensible folk that the Environment Agency isn’t actually deliberately deciding to sacrifice community A to save community B. Once a major river is overtopping the weirs, banks and locks there is no control as to where the floodwaters go save for the force of gravity. Water finds its own level and no amount of fiddling with submerged lock gates or weir paddles is going to make the slightest difference in a critical flood event. The more relevant question to ask is why are we having more serious floods –possibly something to do with allowing irresponsible development and intensive agricultural practices on the floodplain? I don’t always agree with the guy but there was a superb piece in the Guardian recently by George Monbiot that sets out precisely why draining the headwaters of river catchments, concreting over the water meadows and straightening and dredging river channels has seen floodwaters charging downstream at an ever more alarming rate… By failing to store floodwater higher up the systems in nature’s reservoirs we are quite deliberately creating more and more flooding misery. Worse still, we are incentivising farmers to carry on with the same damaging practices and we have a government which seems hell-bent on deregulating harmful dredging and loosening planning protections in the floodplain. 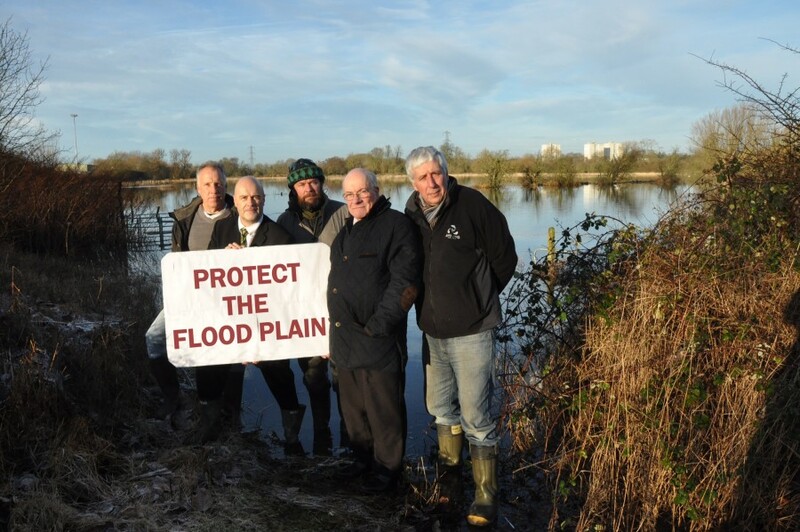 At the Angling Trust we have been working with other environmental groups to warn that government policies are making flood damage more, not less, likely and that their proposed cuts will limit the ability of the Environment Agency to offer help, warning and support to flood-hit communities. Both the Prime Minister and the Environment Secretary have claimed that flood defence work was being protected from planned cuts but it is now clear this is not the case. Here’s a particularly good piece from Friends of the Earth which takes apart the claims on flood defence spending. And of course many of the 1,700 EA staff whose jobs are set to disappear in the next year are either working directly in flood defence, or have been seconded in from other parts of the Agency such as Fisheries, Planning, Waste Control or Mapping during the recent floods to help out. If their jobs are cut, there will be fewer staff to provide back up in future floods and other functions – such as pollution prevention and enforcement – will struggle to deliver their statutory duties effectively. And just when it seemed that things couldn’t get much worse came the well sourced report in the Telegraph this week that the Coalition Government is preparing to mount a fresh assault on planning laws by giving developers the power to push though applications without the need for council approval or environmental assessments, including the requirements to incorporate flood defences and to protect important water meadows. Not a pretty picture is it? I can only repeat the message we put out to our politicians this week in the hope that as we wait for the inevitable next round of flood misery they begin to wonder whether their own policies might just have been part of the problem. During the floods I was watching a report that showed a gentleman ‘of years’ explaining how his particular stretch or river, I forget now which one, used to be dredged regularly. That hadn’t been done for decades and his theory was that there had been decades worth of silt built up to decrease the rivers flood dealing capabilities. Surely there is some merit to this theory. To the layman it SOUNDS very plausible ?? Darren. One decent flood in one major river will move more tonnage of silt than an hundred diggers can in a year. Take a look at the millions of gallons of floodwater lying on the floodplain during a major flood event and then calculate how deep you would have to dig the river channel to make any difference.. 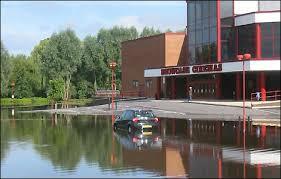 In any case rivers are not supposed to function as storage reservoirs for excess floodwater. That’s why we have water meadows and why they must be protected. I would also like to point out that1″ of rain on the catchment area of the Somerset Levels amounts to something in the order of 26 million cubic metres. There is no way any size of channel could in that flat and low lying area could cope with that. Given the many inches of rain that have fallen recently severe flooding is utterly unavoidable and looking for someone to blame is as stupid as blaming someone for the fact that the tide goes in and out.